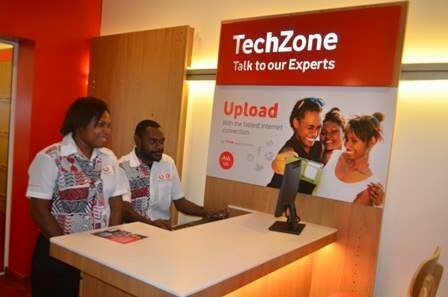 Making sure their customers are satisfied with the products and services is of utmost importance and to expand on its services Bmobile-Vodafone has today opened a new flagship store at the Vision City Mega Shopping Mall, in Port Moresby. What makes it a more convenient one- stop- shop for the Bmobile- Vodafone customers is they are able to access different services in just one store. The new store is equipped with display counters for all Vodafone products, pay service counters for customers to top up credits and pay for power, plus a Business Concierge Centre for Business clients.